Rekortan Celebrates 30 Years as the Official Surface of The Penn Relays! There really aren’t that many things that have been around the track and field world as long as Rekortan but The Penn Relays is the great grandfather of them all. It is the oldest and largest track and field competition in the United States, occurring annually since 1895. 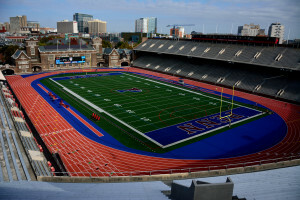 Held each year during the last week of April, The Penn Relays regularly attract over 100,000 fans during a 3 day period with as many as 50,000 attending on Saturdays. The event will host more than 15,000 participants from High Schools, Colleges and Track Clubs throughout North America and abroad. 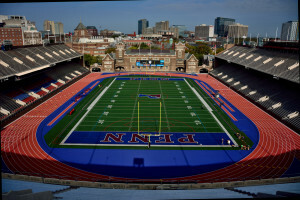 It is held at the University of Pennsylvania at Franklin Field, the oldest stadium in the country that functions as both a football and track stadium. The track at Franklin Field also has a historic background. It is a Rekortan track. When Rekortan debuted in 1969, it took the track world by storm with its innovation and performance – quickly earning the reputation as the “fast tracks”. Over 4 decades later, Rekortan tracks not only carry on speed and tradition, they completely redefine it. The most advanced running surfaces in the world, Rekortan systems are simply unmatched for quality, technology, and of course, pure, blinding speed. 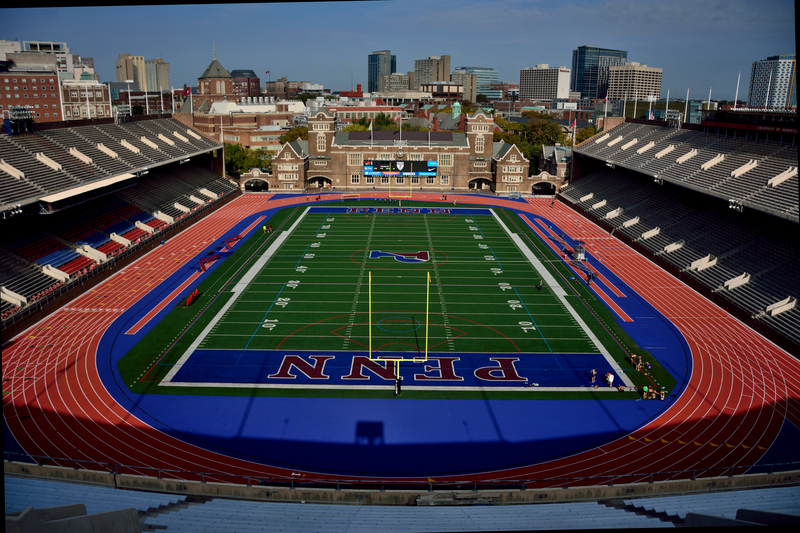 Rekortan has been a proud to be the official surface of The Penn Relays since 1988 when their first system was installed at Franklin Field. Every year since, the relays have been run on a Rekortan surface and countless records have been broken on this track that has a reputation for consistency and dependability. The most recent installation of the surface occurred in 2015 when an exclusive Rekortan distributor, ATT Sports Inc., installed a Rekortan M99 System. The M99 track is a 15mm, impermeable, full pour system featuring three layers: a self-leveling fluid applied polyurethane coat, an innovative central force-reduction layer, and a fluid applied polyurethane topcoat with a dense matrix or broadcast EPDM rubber granule with no solvents or filler added. The system is fast for sprinters and kind to endurance athletes. Designed for the current day athlete, the Rekortan track system is a diverse, world class series of polyurethane running tracks that are unmatched in quality and performance. The Rekortan debut in 1969 revolutionized the track world with quality and innovation, forever crowning our systems as “the fast tracks”. Rekortan is part of the SportGroup, arguably the largest sports surfacing company in the world.